Simple recipe of egg wash, Chesapeak Bay seasoning from Penzey's, a lil extra pepper, salt and dredging in flour. Next time I will batter them as the flour came clean off the back of these tasty creatures. 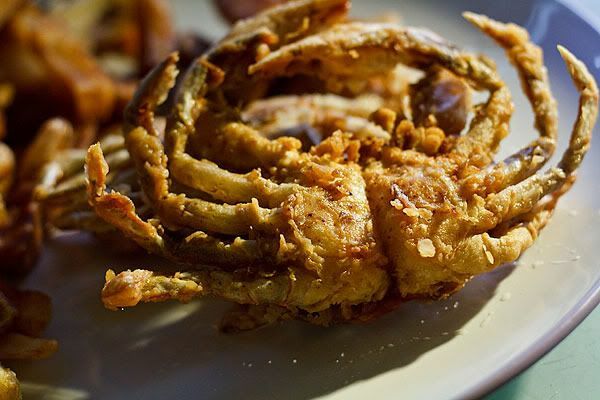 In "Penzeys", "crab", "food", "fried foods", "recipes", "soft shell crab"